Coloring this worksheet is fun! 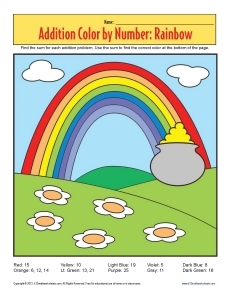 Each area of this rainbow picture has an addition problem. The sum tells your student what color to use on that area. By coloring the picture, she'll be practicing motor skills and addition!